Since being the runner-up on the sixth season of the UK’s X-Factor Olly Murs has done very well for himself with Please Don’t Let Me Go and My Heart Skips A Beat with Rizzle Kicks gracing the top of the charts all around the world. Now he’s releases his most pop-tastic song yet, Dance With Me Tonight which I have had on repeat many times over the past week! Groovy, funky, soulful and, well, happy – this song just makes you want to groove and smile – something that only a great pop song can do. 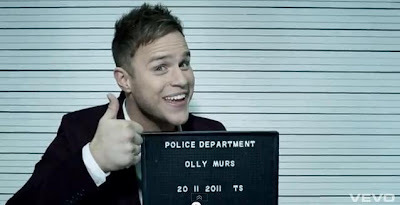 One of my favourite songs for 2011 and Pete’s Pop Pick of the week, you MUST get Olly Murs new song Dance With Me Tonight now! Canadian R&B starlet Kreesha Turner owes her remarkable looks to her Canadian Father and Jamaican Mother and her unique voice to Ella Fitzgerald, Billie Holiday & Peggy Lee who she grew up listening to. After high school she developed her musical abilities writing, recording and performing her own songs but it was winning a radio talent show that led to the start of her recording career. Releasing her second album Tropic Electric this month the second single is Stay With You and it really shows off her R&B Pop roots. Soulful & delicate check it out below! In the pantheon of popular 80’s hits Africa by Toto would be near the top. The song is well known and loved around the world and now it’s been touched by the hands of pop star Jason DeRulo. Starting off obviously with the music and lyrics from Africa, Jason makes the song his own through the verses, with his own unique style we all know and love. Using the classic pop remake formula he’s perfected over the years Fight For You is destined for the top of the charts around the world!